Years ago, Eric Johnson requested that I install an extra pot in some of his Tube Drivers to help him match the tube response to his super critical hands and ears. My solution was to install a 5th control that controls the tube cathode current and enables him to ‘dial in’ the tube characteristics he wanted. This saved him from sorting through literally hundreds of tubes to find the exact one he wanted. Now he uses a Bias mod Tube Driver on stage. 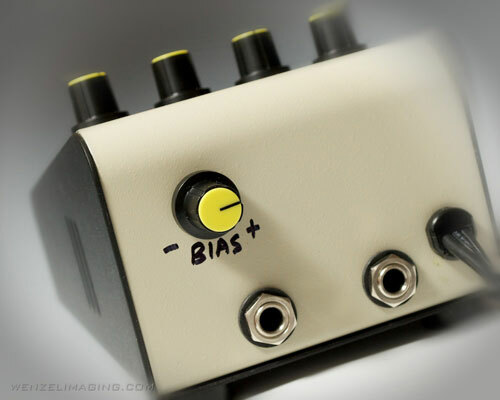 David Gilmour, Joe Satriani, Billy Gibbons and many other pros now use the Bias mod. The Bias control is very helpful as it adjusts the amount of current applied to the cathode of the tube. 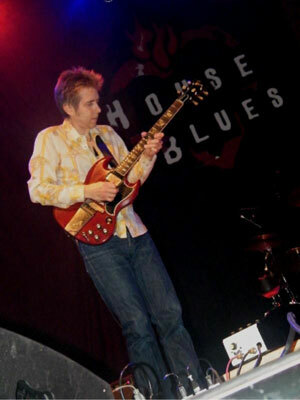 Eric Johnson used to spend a lot of time looking for perfect tubes to use in his standard Tube Drivers, but now he can just set the bias easily with the stock tube. Just go up or down a few clicks and he nails what he wants. The Bias control also adds dynamics and allows you to custom match your Tube Driver for any particular pickup/amp combination. Technically it varies the electrical 'strength' of the tube and that affects gain, texture and dynamics. It does not change the EQ directly but because the way the tube responds can be varied; you will hear EQ differences at various settings. Most players find a 'sweet spot' about 2:30 - 3 o'clock on the control. All in all, it is a 'pro tool' type of control that each player can set to their own subjective taste. Just wanted to let you know, I received the TD on Saturday morning and was able to use it on the gig Saturday night... You have done a wonderful thing for musicians and music by inventing and building these. You were right in suggesting I get the Bias model. I'm glad I did. And I can't believe you got it to me in four days. Thank you so much; I'm going to love working with it.